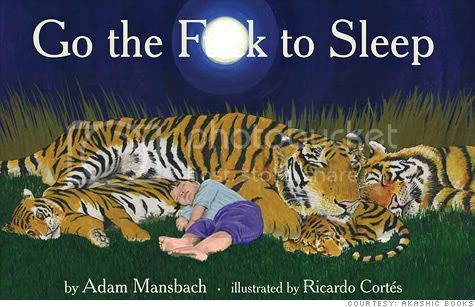 Long before Go the F**k to Sleep jumped to the top of sales charts there was a nursery rhyme about the same problem faced by many exhausted parents. I'm performing Wee Willie Winkie for a storytime today, and what I didn't realize is that there are many more verses to the original! Are the children in their bed, for it's past eight o'clock? Hey, Willie Winkie, are you coming in? But here's a wakeful little boy who will not fall asleep! Shrieking like I don't know what, waking sleeping folk. Hey, Willie Winkie, the child's in a creel! Hey, Willie Winkie, see, there he comes!" But a kiss from his rosy lips gives strength anew to me.